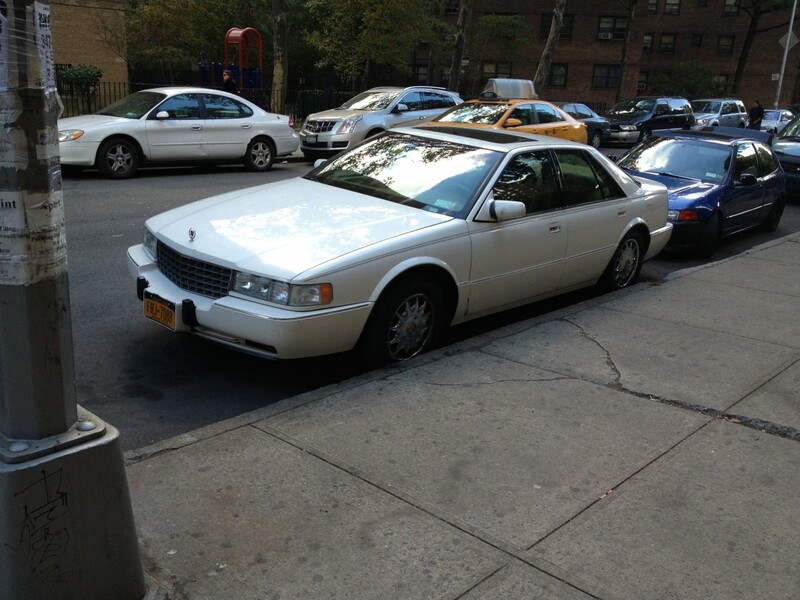 This was the car Lincoln was gunning for with its 1995 Continental. Well, not quite, as today’s article proved: the Continental was ostensibly a Seville rival that confusingly became a DeVille rival, even though Lincoln already had the Town Car for that role. 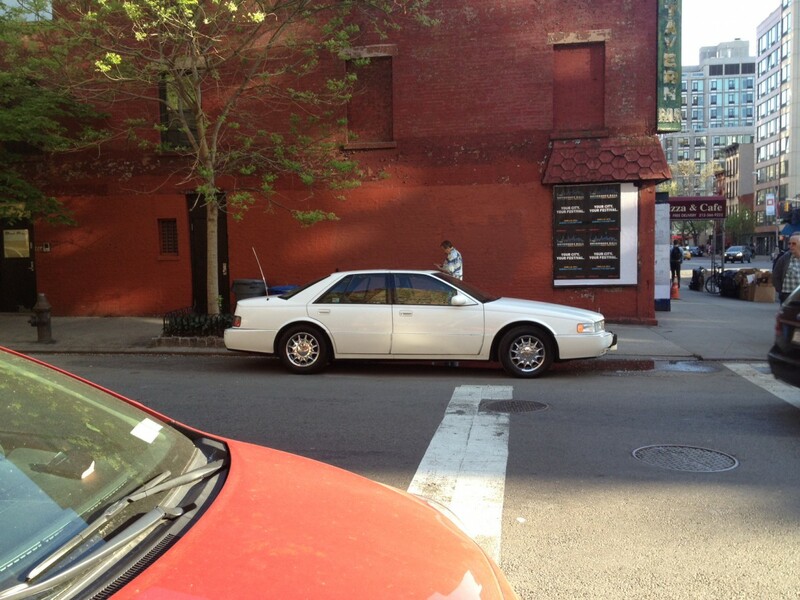 Cadillac wasn’t necessarily clear on its positioning, either. The 1992-97 Seville was available in sporty, monochromatic, import-fighting STS trim, like our featured example, but was also available as a be-chromed, luxury-oriented SLS that was even offered with a column shifter. Cadillac had been taking steps to sharpen its image in light of declining sales and aging buyers. The first step was the inaugural 1975 Seville, which offered crisp styling and European sizing. Then, Cadillac lost its way for a little while, with the half-baked Cimarron and the gauche second-generation Seville. Finally, Cadillac realized it needed to offer a sports sedan to do battle with the Europeans, and launched the 1988 Seville STS. With its smart size, absence of chrome and buttoned-down suspension, the Seville STS was arguably the most European Cadillac yet and it paved the way for an even more compelling fourth-generation Seville. 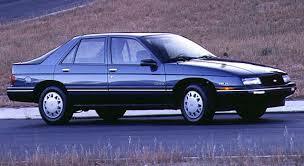 The 1992 Seville would launch with the carryover pushrod 4.9 V8 as the Northstar V8 was experiencing production delays. Despite the old engine, the Seville (in STS guise) still won Motor Trend Car of the Year and received critical acclaim across automotive journalism circles. Almost all of the flaws of the third-generation had been banished, particularly its boxy interior and exterior. The cabin was modern and elegant, and the exterior was crisp and striking. The Seville also undercut key German and Japanese rivals on price. It wasn’t bad to drive, either. Front-wheel-drive is generally seen as an impediment in larger cars, but although the Seville couldn’t carve corners like a 540i, it still acquitted itself quite well. Suspension tuning was softer than the Bimmer, even in STS trim, but the Caddy could show the 540i its taillights thanks to its powerful Northstar V8 engine. In STS trim, the Northstar pumped out 295 hp and 290 ft-lbs of torque (from 1994, 300 hp and 295 ft-lbs). The SLS, from 1994, had a slightly lower horsepower (270-275) version of the engine with 5 more pound-feet of torque, for greater low-end response. Ultimately, though, the Seville had a 65/35 front/rear weight distribution and it was never going to feel as balanced and lithe as a 540i. By the time the fifth-generation Seville had launched in 1998, GM had commenced development of a rear-wheel-drive platform to underpin a range of cars. Now, Cadillac offers a range of sedans with world-class dynamics, and there’s a reason for that: they are on rear-wheel-drive platforms. Still, the fourth-generation Seville STS was a compelling effort and showed the Germans and Japanese that Cadillac could field a sedan worthy of being said in the same breath. The more expensive STS ended up accounting for half of total Seville volume almost every year. So why, then, did Cadillac offer a more traditionally-appointed SLS that for a few years even came with, gasp, a column shifter? Perhaps a cushy, luxury-oriented model wouldn’t have been such a big deal, considering the success of the plush Lexus LS400. However, Cadillac had the slightly cheaper DeVille on hand, available with the same powertrains: the pushrod 4.9 Cadillac V8 and later, the Northstar. Its more conservative Cadillac styling would likely have appealed more to traditional Cadillac consumers anyway. I used to pass by this Seville regularly on my way from the subway station to my work. Unusually, it has a chrome grille and hood ornament, which were features generally seen on the SLS. 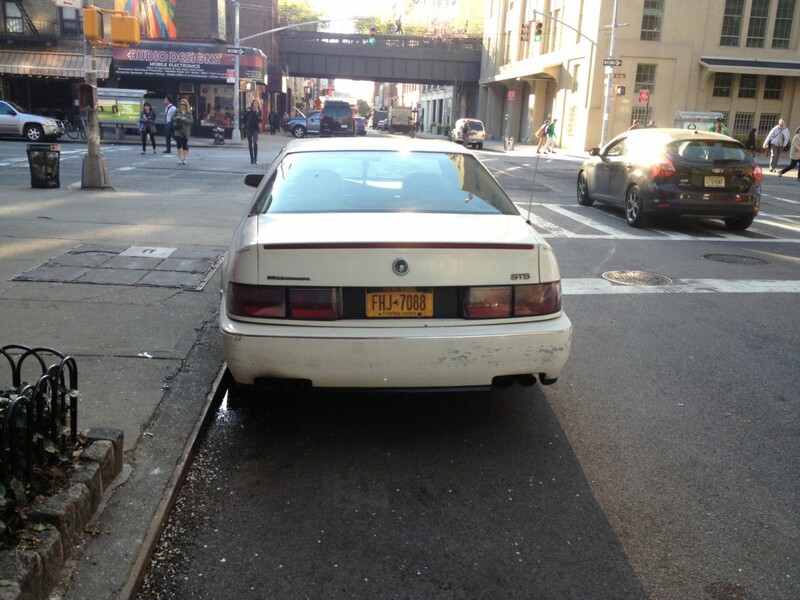 However, the wheels and badging indicate it is an STS, and it would appear to be a 1993-95 model. Was this a dealer option, or an aftermarket modification? Lincoln was confused about where the Continental fit in its lineup and how it should have been marketed, but the Cadillac they were gunning for was similarly trying to be all things to all people. Don’t get me wrong: there’s nothing wrong with preferring column shifters or bench seats and there was a market for plusher luxury sedans equipped accordingly. The problem is, Cadillac already had a presence there, and diluting its aspirational performance flagship was misguided. It’s a delicate balancing act trying to retain existing, loyal customers but also appeal to a new, younger set of buyers with different tastes. Unfortunately, it has been a long road for Cadillac and a journey they are still making. The 1992-97 Seville was a competitive and appealing car, but for the sake of Cadillac’s image perhaps it would have been wise to offer it only as an STS. Beautiful, save for the Northstar. I know when Carmine was here he always tried to argue that the Northstar was no more trouble prone than it’s German rivals but wasn’t one of the perceived bonuses of buying American supposed to be an anvil tough powertrain? It would have been interesting to see what the next evolution in GM V8s was supposed to be with the “Ultra V8” program. Too bad that development got canceled during the bankruptcy. Certainly the first generation Northstar was troublesome, mainly after a water pump failure and overheated engine. My 2002 Seville was a second generation Northstar, but the water pump did not fail, so no problems. My third generation Northstar (RWD) in my SRX did not have the problems of the FWD Northstars as far as I know. The water pump in my Aurora did begin to leak, which I noticed and had repaired, so no problems with the 4 liter Northstar either. Beautiful looking car. 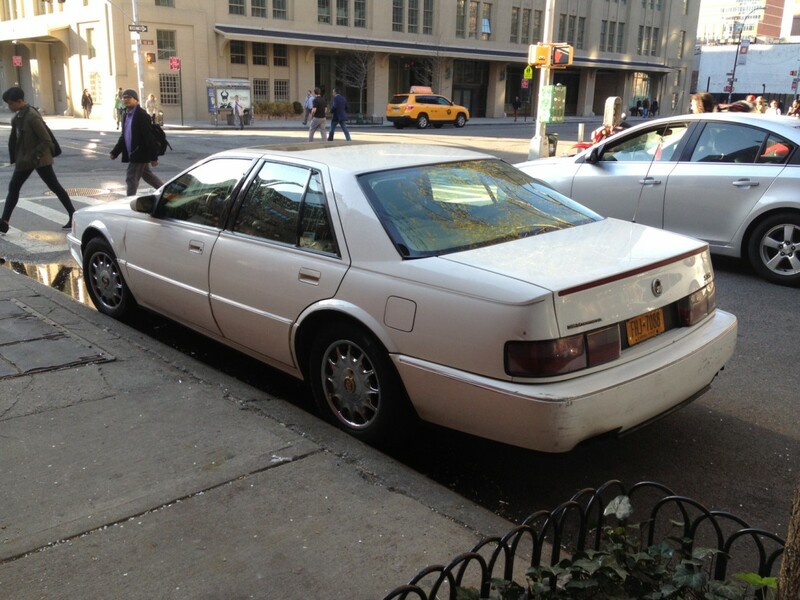 IMHO, this was Cadillac’s last best looking Seville. Hell, Cadillac’s best looking car, except for the ETC. ETC? Etcetera? Pardon me while I Google which one that Is…..
Oh! Nope. This one’s better looking. At least on the Eldorado of this generation, the luxury/base version had a thin strip of plastic pseudo-chrome set into the rubber moulding around the windshield and back glass, and that was another way to tell it from an ETC. The sporty one got solid rubber moulding. I don’t know if that’s applicable to the Seville/STS or not. I was also under the impression that only the ETC/STS got the lower body cladding. GM still built some weird variations on this car…I saw an Eldorado with buckets, a large center armrest/no center console to speak of, and column shifter. The dealer-installed half-cabriolet top covered in sailcloth completed the weirdness. The 94 SLS had a different cladding on the side. So I would guess this to be an STS, but the wheels have either been changed or had a badge added. The grille is from the SLS. To have the option of downsizing our deleting the space robbing console would have been a selling point to me. What’s the point of having a flat floor then sticking a huge plastic log down the center of the car ? The Seville looks better today than it did when it came out. I always thought it looked too much like a Corsica five door. It’s an improvement over the 86 but could be from Chevrolet, Buick or Oldsmobile. There’s no “there” there for me. My recollection from some FWD GM cars I have owned is that GM started running the exhaust down that indentation in the floor pan. I guess that helps ground clearance some, but given the existence of flat floor FWD cars it was definitely a choice, not a necessity, to reinstate a center tunnel, and I have quite understood it. I think the the 79 E-bodies were more or less flat. When the unibody cars went into production I think the center tunnel was used for the exhaust, but it may have been done to improve the body structure. The northstar engine introduction was huge back then. I was on internship at a country club and the local caddy dealer left off a couple hole in one cars. They made the mistake of leaving the keys of the two cars and didn’t pick them up for about four days. I think we racked up about 800 miles on the STS in that time. It was stupidly fast for what I was used to at the time. These were very sharp cars back in the day. It is a shame that the engine had so many issues. I still like the styling of this generation Seville a lot today. They have a timeless look to them in a way most other cars of this era lack. For what it’s worth, when I was a kid, this was the first Cadillac that ever appealed to me. These were handsome inside and out. Bruno Sacco, the eighties Mercedes designer, once complimented this Seville by saying it was his favorite car at a car show near the time of the Seville’s introduction. I will be in a minority here but I think this is where GM got off track with this Seville. The first three generations were all trendsetters in a unique American way. The original, with it’s unique size, bold pricing and premiering to America GMs new sheer look. The second gen with it’s front drive, four wheel independent suspension, and dramatic style. Even the third gen with it’s advanced electronics, transverse V8, and the robotics of the new plant were an effort to bring the Seville into a new era of American success. This car was the beginning of that sad game of chase the Germans. Not even trying to lead. I can forgive wrong turns when innovating. Being a follower is much worse. The Northstar V8 was well ahead of anything else for design at the time. It was supposed to be able to run for a short distance with no coolant without melting down and it would do that. Unfortunately after running hot, the head bolts would gradually let go, and then serious trouble. GM was committed to FWD as the way of the future. Cadillac tried to make the STS into a sports sedan with a computer controlled suspension. I don’t know how the Audi is different, except that its AWD versions are what compete in the sports sedan market and are about third best in comparison test. The problm with the Northstar headbolts has nothing to do with the gimmicky limp home feature. GM used a fine pitch thread bolt to hold the head on. They had a high failure rate even if they never overheated. Then there was the overdesigned and troublesome liquid cooled alternator, the finicky stand alone water pump (service of which requires an expensive GM sourced tool), not to mention the pointless performance driving features like baffled oil gallery and short-lived piston rings set so high up on the pistons that combustion deteriorates them into uselessness, causing major oil use issues. I have cared for my mother’s 2001 Aurora since new and am familiar with the drawbacks of the design. The 2000 redesign altered the headbolts somewhat and eliminated the stupid cooled alternator, but it wasn’t until 2004 and the RWD version that they got it mostly right. The CVRSS shocks are eye wateringly expensive, too. Over $1000 each. As for the design, this and the first-gen Aurora and last-gen Eldorado are, I think, the highlights of the Chuck Jordan executive years. Definitely an underrated designer for his personal work in the 50s and 60s along with Jerry Hirshberg. 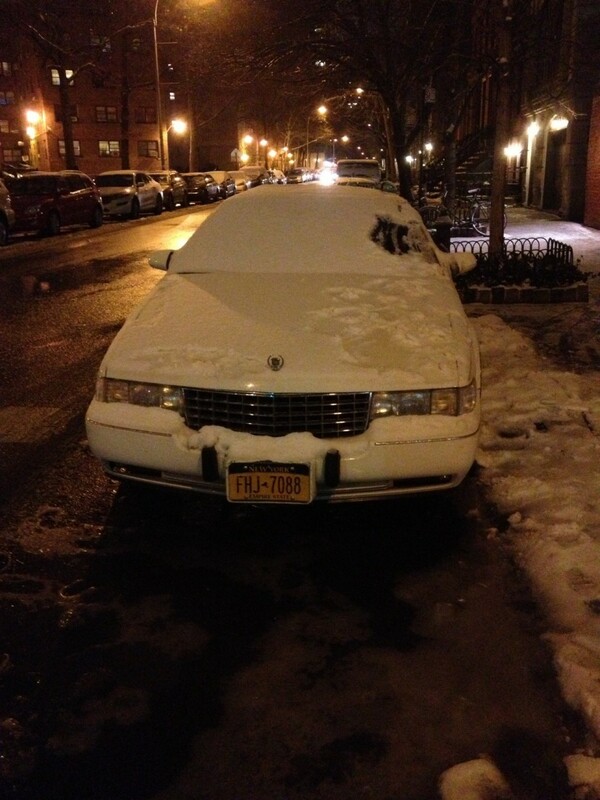 Someone that I knew had a 1999 Deville. He did not have problems until the water pump failed and the engine got hot at which point he got off the road and shut off the engine and had it towed in. The dealer fixed the water pump and all was well for a while. But coolant needed replacing at some point which they did without checking into how come. Then a bit later it wanted more coolant and they knew something was not right. By this time the engine was beyond repair. He had extended warranty (insurance) and he also got Cadillac to cover a portion of the cost as the warranty did not cover a new engine, just replacement of the head gaskets. So my opinion is that overheating the engine may weaken the alloy in the block so that the bolts fail. But they could fail anyway. I don’t understand why the GM-Cadillac did not test running the engine for the 50 miles without coolant and then seeing the longevity of the engine thereafter. By the time of the model year 2000 redesign they should have known there was a problem which did not really get fully fixed until even later. My Aurora’s water pump started leaking and was repaired before failure. Could have accelerated the demise of the head bolts. My guess is they would have failed eventually even without water pump problems. Another well-known issue is the Northstar Drip. The oil pan gaskets were cheap in all of the FWD versions, and the front exhaust manifold passed very close under the pan. The pan gasket replacement requires removal of the engine from the car. The vast majority of 100k+ Northstars leak from this. Other issues are heat cracking the oil pressure sending unit (located next to the front hydraulic engine mount), ruining the sensor and sending a false low oil pressure reading to the DIC. Easy, sub-$50 fix. The high-pressure power steering lines are very prone to failure, especially after the 2000 MY engine update. Very labor intensive. Delco issued an updated part in 2003. The A/C compressors regularly fail. 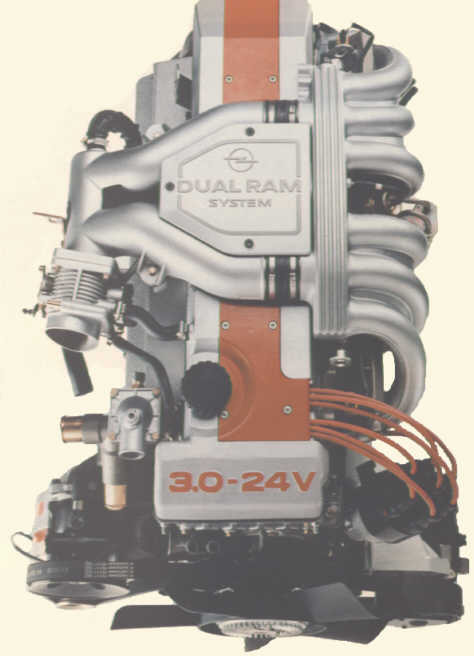 They were redesigned for all engines (LD8, L37, L47, LX5) several times. Also very labor intensive-must drop front subframe for access. The secondary AIR injection pump is packaged low in the driver front bumper in the forward spray patter of the wheel. The plastic casing degrades over time and crumbles, exposing the pump to the elements and eventually ruining it. Replacement pumps are $300-400 and access is rough without the car off the ground. The non-CVRSS cars all had autolevelling rear shocks with an air pump. The shocks are very cheap and easy to replace, but the pumps regularly burn up and are a few hundred dollars to replace. The G/H/K platforms all also had noted problems with the under-rear-seat battery leaking and corroding through the floorpan, as well as the early 2000s GM widespread intermediate steerinf shaft issue. The cars also were made with very failure prone power window regulators, as well as inferior quality wheel hub/bearings from the factory. All 2000+ Northstars, Auroras and LX5s had faulty crank position sensors from the factory which would stall the cars while decelerating. GM recalled non-Olds cars in 2004 and never addressed the Oldsmobiles. Finally, voltage spikes from the alternators affected all cars with Northstar series engines, causing lights to randomly dim at night and giving them a penchant for bliwing bulbs – something shared by the Atlas inline engine series around the same time. I have addressed all of these at least once (in the case of the window regulators – 5 total times, and the crank pisition sensors once under warranty and once each out of warranty) on mom’s 01 Aurora 4.0 in 14 years and 86,000 miles, with the exception of the oil pan, which miraculously has never leaked. My 2002 Seville, while under warranty, had the torque converter lock solenoid fail. They had to remove both the engine and transmission to get to it. Then they put the wrong gasket in and had to do it all over when I took it back to say that it was shifting a bit off at times. So I like RWD now. I’m loving this technical discussion because if/when I move back to the US, I’m tempted to buy a Northstar-powered car. Of course, given the engine’s reputation, I’m reluctant to buy anything pre-2004. You make an interesting point about the CVRSS: I heard the shocks were finicky and expensive to repair. I’m wondering if the Magnetic Ride Control G/H-Bodies had more reliable/less expensive shocks. I hear often that major reliability improvements were made to the Northstar, too, after 2000 and further improvements after 2004… So surely a Lucerne CXS is a safer used buy than an older Seville or Aurora, right? And given the new platform, a RWD/AWD STS would be a little flakier than the Lucerne? No experience with the Lucerne CXS, but as far as the DTS, magnetic ride control is even more expensive to repair than CVRSS and there isn’t a cheater aftermarker solution like there is with the older version. Several companies make aftermarket kits with regular shocks and a plug on each to fool the computer into thinking CVRSS os working. Reduces replacement cost fr around $2500 an axle to around $7-800 per. Nothing exists for MRC to my knowledge. As far as the Lucerne CX/CXL, they seem to pretty much fall apart after 80,000 miles. This just isn’t a robust platform. One other thing I forgot to mention: we replaced the rear subframe in the Aurora, too. Rust holes had developed in it after 13 years. No other rust on the car. Googling magnetic shocks I found that for the Corvette a set of 4 cost just over $4000 ($1000 each). The FWD Northstars should have been good after about the 2006 or 2007 model year I think. The DTS and Lucerne is the same platform so I don’t know that one is better than the other. The RWD SRX or STS with the northstar is also a suggestion. The SRX did not get the magnetic shocks. The SRX is a bit thirsty getting about 20 to 22 MPG on the highway @ 70MPH. After poking about in GM’s archives I found that the STS with RWD/AWD only used magnetic shocks on the rear wheels, not the front. So this means that replacement for the front is much cheaper and the rear would only be shocks. Good lord, that sounds like the kind of stuff you’d get on a French car of around the same time. No wonder why these and the following model disappeared from Viennese streets suddenly (yes they did sell here in small numbers and were quite visible until about 5 years ago) – one or another of these pre-programmed disasters occured and it was too much for the 3rd or 4th owner to deal with it. One of my all time favorite Cadillacs. These were so nice to see after the squared off, chopped up, boxy 1980’s Caddys. There are plenty of hints of the Voyage show car in this car. One of the main reasons why I’m more fond of these cars is that even though I’m 6 feet tall, I can fit in one of these (with a sunroof), I couldn’t in the Eldo. With the Northstar, the fuzzy logic adaptive transmission (another new thing the STS introduced) and that sleek body, I was in love. Unfortunately, these came about while I was in the midst of diaper changing duties and I’ve never made the money to afford one new. Such is life. I’m actually a fan of the 1998 refresh of this car (pictured below), which is rather rare. Usually the original version is the exemplar and most refreshes are barely that. But this one looks good. I’d like to find one at an estate sale or some similar circumstances. For now, I guess I’ll have to be happy with tiny (1/64th) Cadillacs. It’s not a refresh. It’s a completely different design but they kept everything visible as similar as possible, which is really strange for car designs. Too bad about the engine… I’d take a 1992 with the trusty 4.9, but that Northstar, well, it’s all been said, and why these don’t exist on the roads anymore. I see a number of these around here still running. There’s probably some RX7’s running around on original rotors too, doesn’t mean the 95% failure rate didn’t exist. The Northstars can be repaired and will then hold up if done right. Again, yes. But when your $3k car requires a $2k repair, it goes to the junkyard, even if that repair would work. Well I have owned three Northstars all of which required no repairs while I owned them. I get it, you like yours, but that doesn’t change the fact that, statistically, they’re not that reliable. Not trying to hate, I own a 90’s Subaru that’s on its 2nd head gasket, and I’ll still defend them, despite their nearly 100% failure rate. And I say basically the same thing, the Subaru gasket was crap, and once redone they hold up fine. But it’s a big reason why they’re getting thin on the streets these days. The Northstars were best when they were new. I agree that buying a used FWD northstar now is probably not a good idea unless the engines condition can be documented in some way. There is also the problem of replacing the computer controlled suspension bits on the STS’s too, which make repairs to the engine seem cheap. The one Cadillac finally got right,except for the Northstar of course.Timeless design still looks great today. 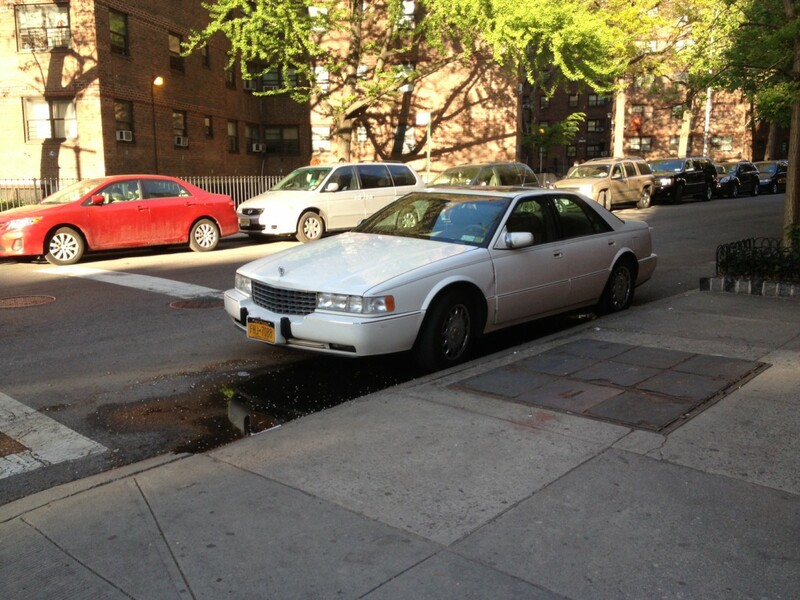 I wouldn`t mind having one in my driveway.IMHO, the last of the “real” Cadillacs. A splendid encomium to one of the most beautiful cars of the 1990’s, William. The only factual error I take issue with is that despite your assertions these cars were never offered with bench seats. From 1992-95 (or 96..), the base SLS with the 4.9 could be equipped with a column shift and smaller consolette that was not connected to the dashboard. However, this consolette was fixed to the floor and the two seats remained individually adjustable buckets. Apparently, this setup could only be had with digital gauges; if you wanted analog you had to take the full console with floor shift. I myself have never seen a Seville so equipped aside from pictures in brochures. I have seen one or two Eldos with this setup, but it must have been rare. Finding information or pictures on the column-shifted Sevilles of this generation is like getting blood from a stone: Cadillac may have been foolish to offer it, but they made sure not to publicize they had ’em! Upon further investigation, you appear to be right. I’ll modify the article accordingly. This is a video of a ’92 Seville with the column shift and digital gauges. A much better design compared to those monstrosities introduced in 1980 and 1986. When these came out, I really thought Cadillac was starting a genuine renaissance. I thought the front end styling was a fantastic update of Cadillac’s “face” and looked both modern and unique at the same time. The profile view was equally handsome and contemporary, combining just the right blend of sharp creases and soft, subtle curves, which to me always defined the best Cadillac designs. I thought the rear was a letdown, with its anonymous “international bland” taillight design, but it was at least inoffensive. Inside also was a triumph of design, with a fantastic instrument panel that again looked like a great blend of American and International design influences. The seats and door trim also appeared tasteful, fresh and upscale. I actually think Cadillac was correct in offering both base and STS versions as well. They hadn’t yet earned the credibility to leap headlong into the International luxury sedan arena, but could absolutely play successfully on the margins with a more sporting package, while continuing to satisfy their existing, more conservative customers. 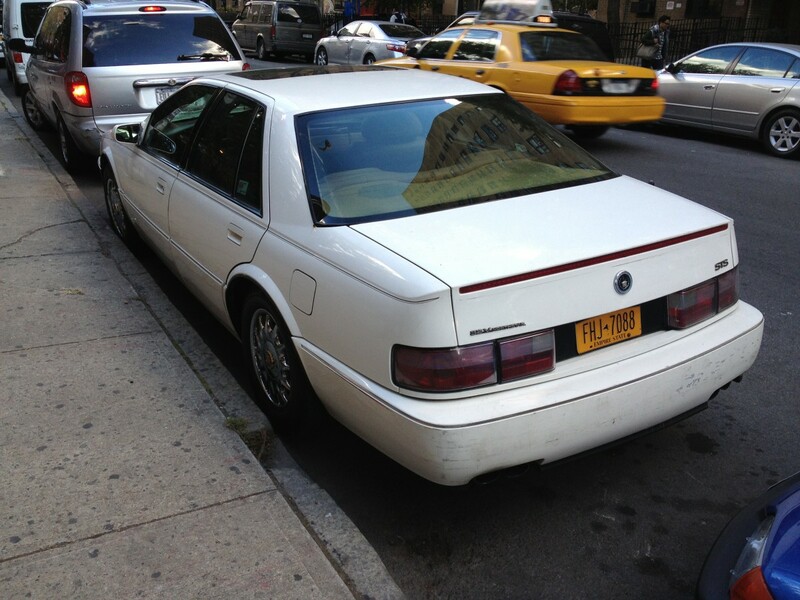 Sadly, the 1990s renaissance of Cadillac proved to be short-lived. Bloated Broughams, dowdy DeVilles and comical Cateras proved that the wreath-and-crest brigade were still decidedly out-to-lunch. And the shining light that appeared with the ’92 Seville dimmed badly. 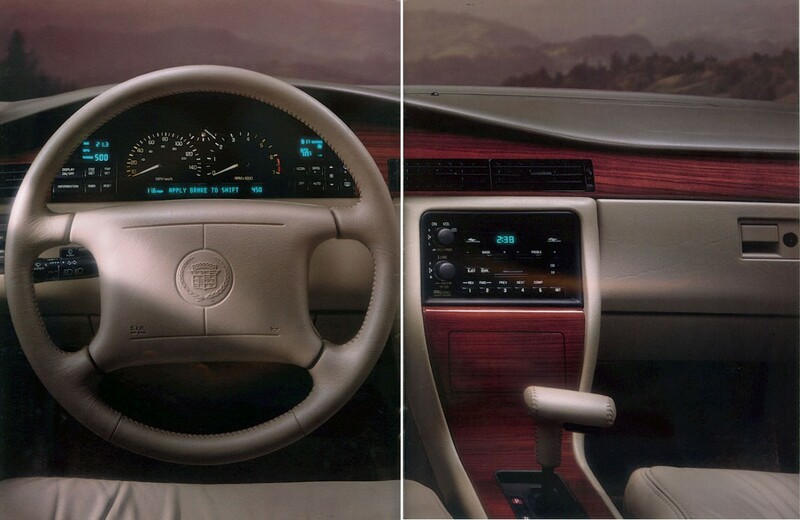 Instead of swinging for the fences and creating a world-class sedan to improve on the new direction initiated with the ’92, Cadillac just rested on their laurel wreaths. Their continued insistence on retaining the FWD/transverse engine format, along with the exceedingly conservative restyle for 1998, put a firm end to any world class aspirations. Another thought I always had about this Seville, and the companion Eldorado coupe, is that they should have been DeVilles. By that I mean that they would have been credible as rejuvenated American luxury cruisers, versus being compared to, and falling short of, international competitors. 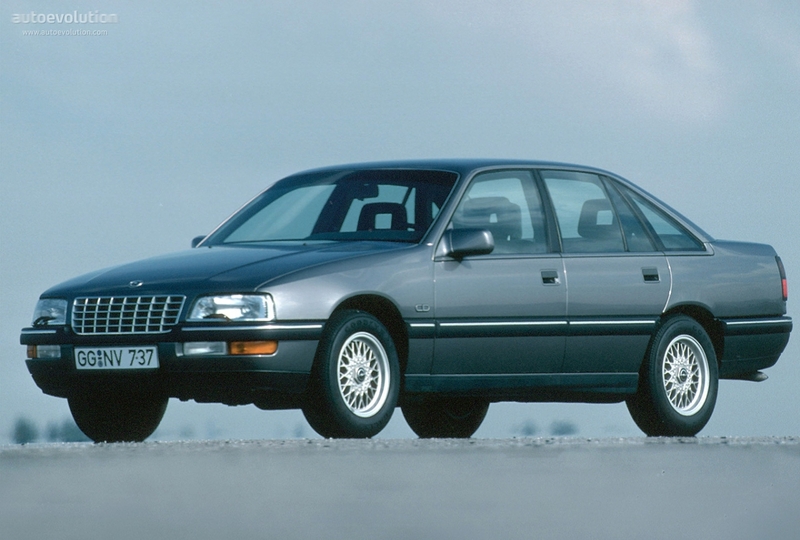 After all, by the time this Seville appeared, MB had been offering the excellent 300 Series, BMW the superior 5 Series, and Lexus the top-notch LS400 for years. This late-arriving Cadillac, though quite nice, just wasn’t in their league. However, as a truly modern, right-sized, youthful feeling Cadillac volume model (aka DeVille, priced accordingly), I think it could have been a knockout. The barge-like car that was the actual DeVille offered in ’94 should have been a Fleetwood, targeting the older, traditional customer. Additionally, I always wished that GM had repurposed the Senator platform and developed a world-class Seville (perhaps with a sleek 2-door companion Eldorado), utilizing the Opel’s solid RWD architecture but offering very unique, luxurious styling inside and out and a small V8. Such a car, done right, could have competed with the world’s best and would have been in keeping with the “international” image introduced with the first Seville in ’75. You mean like repowering the Catera with a NorthStar, why not GMH stuck a Buick V6 and a Chevy V8 into it and created the Commodore it was a car that only needed some cash and development to suit its new markets. Actually, I was thinking of the Opel Senator that debuted in Europe for ’87, but yes! Something like the Holden Commodore variant, and it could have had the Northstar or even the 4.5 pushrod. It just would have needed styling that was sufficiently unique and Cadillac appropriate, just like the way the Nova was transformed into the original Seville. I even thought the actual ’87 Senator looked a bit like a Caddy from the front with its egg crate grille… In any event, it could have formed a great basis for a more competitive car in the segment than the FWD Seville could ever have been. Those had very sweet 3.0 liter inline-6 engines. Cadillac did have a FWD Fleetwood for a while beginning with the 1985 model year but they discontinued it in the early 90’s for some reason. I think perhaps the idea was to let the Seville become the top of the line. Cadillac was not entirely free to do as it wanted as GM’s management was behind FWD. I don’t quite understand the Catera though, except as a market test before developing the CTS. They moved the name to the B body RWD sedan for 1993-96. I understand what they did. I do not understand the “why”. I think that the end was in sight for the RWD Fleetwood and the FWD platform was Cadillac’s future. The Sixty Special was still a FWD model (but without the Fleetwood name) for 1993. Cadillac initially planned to phased out its rear-wheel-drive cars after the new front-wheel-drive cars were on the market. 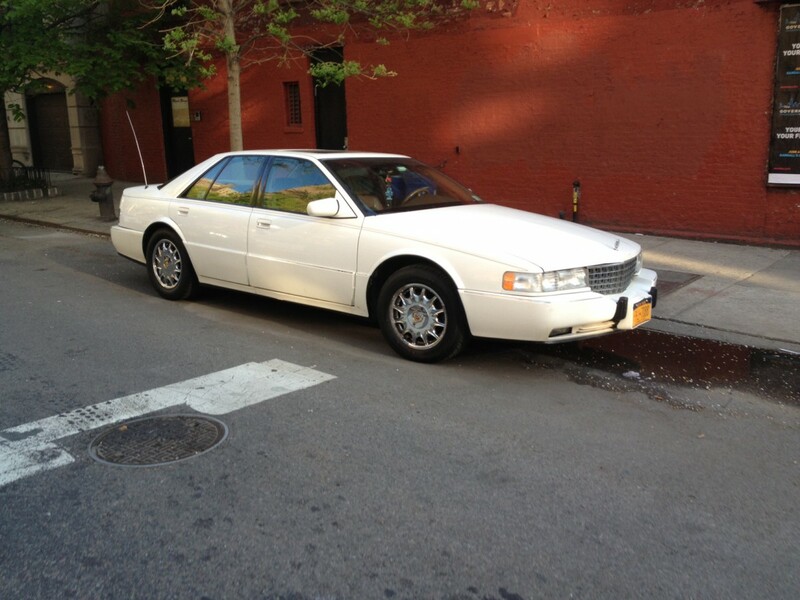 The problem was that sales of the Lincoln Town Car boomed in the 1980s, as “old school” buyers flocked to Lincoln dealers to get that type of car. The 1993-96 Fleetwoods were restyled to make the car more competitive with the 1990 and later Town Cars, which were extremely popular in the early 1990s, and not just with livery companies. The Fleetwoods stuck around until GM decided to turn that plant over to full-size SUV production. Agree on all the Northstar comments. CEO of a company I worked for had one as a company car, had to have the engine replaced before a year old due to a rod knock. A marriage between the GM transaxle and Ford 4V Mod V8 would have been the answer to a myriad of problems. I assume the car was new, so that should have been covered under warranty. The problems with the head bolts usually show up after the warranty is over. The water pumps usually lasted 50,000 miles or more. Yes, it was done under warranty, 92 or 93 time frame. 1993 was the first model year for the Northstar. Yeah, that’s about right. He had a lot of problems with that car. Sounds like it might not have had the Northstar at all if that was the time frame…the ’92 debut cars had the old 4.9 V8 for the first year. These 1992-97 Sevilles were a bit larger than the “Nova” based RWD K-Bodied 1975-79 models and the Toronado based FWD E/K-Bodied 1980-85 versions. In fact this was the largest Seville measuring in at 204.4″. The 80 Seville is a bit longer but the first, second and fourth are all nearly the same length, but the fourth is wider by 2 or 3 inches. YES you are right the bustle back version is at 204.8″. The 1998-2004 version is a bit shorter than the first three generations measuring only at 201.0″ There was also a Chinese Market version of the fourth generation Seville which had smaller bumpers so they only measured at 196.7″. I meant to say the 5th generation was a bit shorter than the Nova based, Bustle Back and the 4th Generation. The ones made for the Chinese Market was the 5th NOT the 4th Generation Model. I drove one of these once, a friend’s 1994 STS, at 90-95 MPH on the freeway in Belgium, and was impressed. I had no idea the weight distribution was that much skewed. Must have been quite a task to design the brakes to keep the rears from locking up prematurely. There are a couple of these in Napier New Zealand Ive seen them cruising about so I really dont know how unreliable they may be, here is about as far from a Cadillac dealer as you can get, yet these still run well, Yes we have plenty of CTS Caddies here but the have Holden V6 running gear so dont count. This car has the chrome SLS grille and hood with stand up ornament. The STS had the body color grille with the wreath and crest. Probably replaced due to collision damage. These were fantastic cars,really fast,really spacious,really good looking. Handling was pretty good until about 8/10s then the FWD nature made itself known. For everday and especially winter conditions plenty good. The cars had great detailing and the build quality was very good. Mine mostly had problems with oil leaks,starters, and radiators ( they had the tendency to crack at the side tanks). Still mine went to 135k before I sold it. I think that GM created the center tunnel not only to run the exhaust but to give prospective customers the impression that it was rear wheel drive,like Bimmer or Benz. Just as many buyers assumed that the first gen Eldos and Toronados were RWD. Not every customer is a gearhead. I guess that GM could have brought out an AWD sports model for those who desired it. Was it Audi that had the commercial showing two dogsleds? One with the team pulling the sled (fwd) and the other with the team behind the sled (rwd) trying to push it. The following is a helpful tip. The waterpump is located on the driver’s side of the intake manifold. It is about one half the size of a soda can. When it leaks, coolant runs down the side of the motor and you would think it has blown a headgasket. The pump is easily chaged using a special tool, maybe 25.00, available everywhere. The water pump just screws in. The leaking pump and stuck thermostat are pretty common. I’ve seen a lot of cars offered for sale very cheaply with these problems. The console may have been a fad-driven development that replaced the column shifter, since floor-shift automatic selectors were considered sporty, but the tunnel itself was a packaging development. If you view the underside of the G/K/H (third-gen FWD) you will notice the exhaust runs through the tunnel to just ahead of the rear subframe- where the tunnel ends – then either splits for dual mufflers or routes sideways to a single muffler. It’s for packaging. Even the W- and H-Body have exhausts packaged this way when equipped with no console. It wasn’t tricking anyone into thinking the cars were RWD. The tunnel aids body rigidity as well my Citroen has a central tunnel the exhaust hangs sort of in it and Citroen hasnt been RWD since 1933. My friend and I got our hands on one of the first STSs on the road for a few weeks in college. It belonged to his ex-gf’s father, which somehow led us taking it to Virginia Tech from Thanksgiving to Christmas. I wowed them at the discount grocery store with the remote decklid, quite a novelty at the time. The car looked good inside and out, wearing cream pearlescent paint and matching leather. The 4.9 HT engine wasn’t up to the task of competing with BMW’s inline 6s in refinement and grunt, let alone the V8 in its owner’s other car, a 560SEC, soon to be replaced with a V12 powered 600SL. The STS’s beautiful styling came at a price too. the low roofline made for a back seat that compared to sitting on a pillow on the floor. Legroom was fine, but there was no getting around the undignified seating position. Today useless 4-door ‘coupes’ are normal, but Cadillac had the Eldorado for people that didn’t anticipate driving their golfing foursome in their luxury sedan. This was a good car by GM standards. It just couldn’t overcome the damage done to the brand by the conspicuous bustle back 2nd generation car with its horrible engines and the anonymous 3rd generation car. Then word got out that GM had intentionally played the planned obsolescence game with first model year buyers being denied engines worthy of competing with Lexus. Then word got out that the Northstar was ANOTHER disastrous Cadillac engine. It still looks like a million bucks next to a 2016 CTS-V, and it doesn’t have CUE. Well if GM had taken another year to refine the Northstar engine, perhaps they would have gotten the head bolt right and it wouldn’t have turned out to be yet another disastrous engine. The heavily revised 1989 DeVille and the 1992 Seville really did seem to signal a renaissance at Cadillac after a very dark decade. But, the 1993 Fleetwood’s styling problems and continued quality bugs in the FWD cars tamped down any enthusiasm pretty fast. 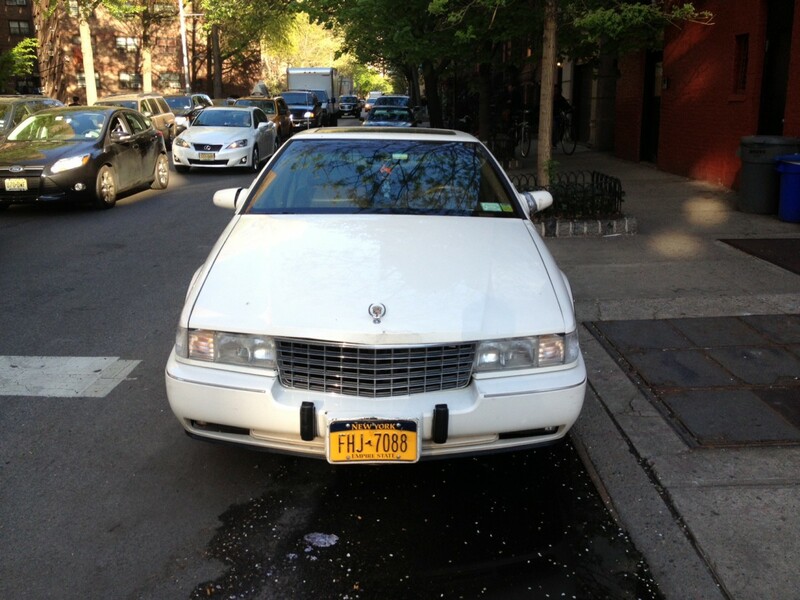 The funky 1994 DeVille restyle and the dopiness of the 1997 Catara cemented in another missed decade for Cadillac. I recently had to get rid of a 95 SLS that had been my daily driver, done in at 156k by the cost of repairing leaking freeze plugs of all things (in the rear head, $1500). The power, smoothness, and sound of the Northstar were fantastic, and the fuel economy was decent for what it was (about 17 in mixed driving, probably 25 in pure highway). It had a multitude of relatively minor problems during my time with it that added up to making it a bit scary to daily drive. When everything was good, it felt so solid and strong that I couldn’t imagine it breaking, then it would. The broad, heated buckets up front were very comfortable, but the legroom in back wasn’t great (though the seat itself was nicely contoured and comfortable). Suspension parts wore out quickly, which led to an obnoxious clunky rattle. The traction control couldn’t be turned off (which got really frustrating in the snow), otherwise it would peel rubber like a Camaro. That was probably a good thing for the CV joints, too. 1: My car had a saddle colored interior, which I didn’t like much when my mom first bought the car, but which grew on me during the years that the car hung around. I liked it by the time it was mine. 2: Stylistically (and in the color of my car’s interior), I thought these were clearly inspired by the Maserati Quattroporte III. Many of them had saddle interiors, and the proportions and even the details are similar. Both still look sharp. Interesting what you said about the rear seat legroom. I’m 6’2″ and didn’t have a problem with the legroom, but I didn’t like the rear seat cushion that only rose about 9 inches from the floor at all. I always felt like the rear seat was nicely contoured and comfortably shaped, but this is a car with FWD and a wheelbase of 111″. It should have generous legroom, but didn’t. Head, shoulder, and hip room were fine. Also, the lower door opening wasn’t very big, so it was awkward to get my big feet out of the back. An indisputable styling home run for Cadillac. I absolutely fell in love with these cars when they came out, and the flame stayed strong their entire run. If, when I first got my driver’s license at age 16, someone had told me that I could have any new car under $50K, it probably would have come down to an STS or a Mark VIII. (Perhaps I was an odd teenager.) The interiors were really nicely done too…it’s a shame the Northstar showed itself to be deeply flawed over the years. And the second-gen cars just didn’t quite work as well in the styling department, despite being a very evolutionary restyle. These ’92-’97 cars still look *great* to me to this day. The closest I ever got to ownership, regrettably, was one of the paint colors. When I had my ’79 Malibu repainted in 1997, the color I chose was 1992 Cadillac “black sapphire”. I’ve driven a few ’92 STSs and they’re a hell of a car. Compared to my ’91 STS, both have the 4.9L and yes the ’92 is a bit slower due to being a good 300lbs. heavier but every issue I have with my ’91 is addressed in the ’92. They’re quiet on the road (provided you spend more than $60-70/tire for tires), have massive available front legroom (I’m 6’5″ and honestly don’t need the seat all the way back in a ’92, unlike my ’91 which is back and fully tilted), acceptable room in back (compared to the very cramped ’91), good trunk space and a decently firm ride. They handle well enough if you keep it under 7 or 8/10th driving and the torque of the 4.9L along with the 3.33 final drive ratio (standard Seville had a 2.97) will keep it competitive in city traffic though you’ll wish for a little more at highway speeds. The way it goes down the road and how the interior looks and feels, it still feels like a substantial, expensive car. I bought my ’91 because of all the slabs of elm burl, the full leather interior, velvety carpet and its rarity but the ’92 is so much better in everyday driving that I almost wish I had bought one of those instead.